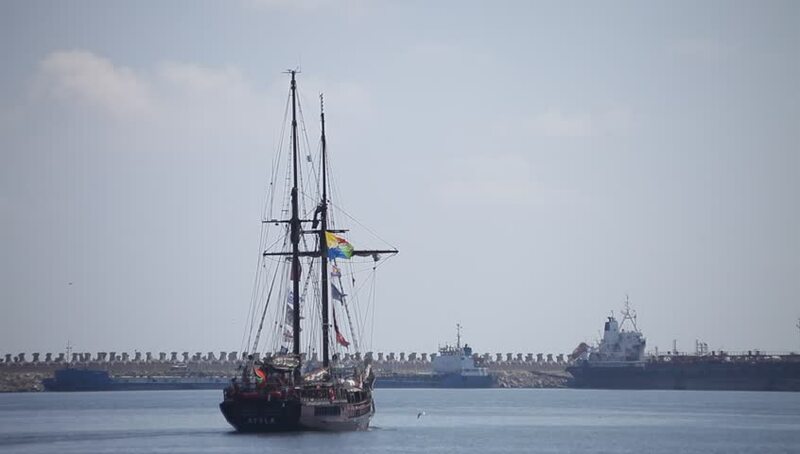 CONSTANTA, ROMANIA – SEPTEMBER 11 2016: Black Sea Tall Ships Regatta is an international unique event taking place every year. Atyla yacht sailing away. hd00:20CONSTANTA, ROMANIA – SEPTEMBER 11 2016: Black Sea Tall Ships Regatta is an international unique event taking place every year. Atyla yacht sailing away. hd00:25Swinging open of the Blagoveshchensky Bridge. Saint-Petersburg. Russia. hd00:28CONSTANTA, ROMANIA – SEPTEMBER 11 2016: Black Sea Tall Ships Regatta is an international unique event taking place every year. Russian Mir leaving. 4k00:13Gothenburg, Sweden. Here an evening view of the old shipyard cranes on Lindholm.